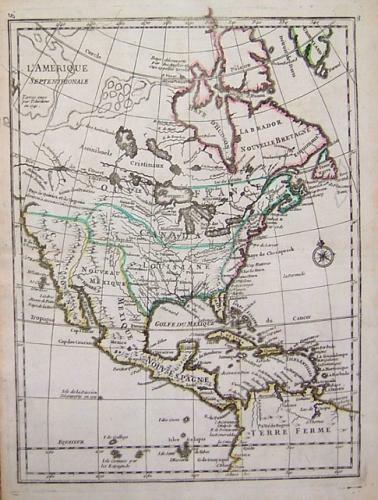 A very interesting French map of North America notable for the sea of the west and the theoretical passageway across the continent by inland waters. Eighteenth-century French hydrographer and cartographer appointed Ingenieur Geographe du Roi to King Louis XV. He was a military engineer who specialized in atlases of plans and fortifications.